Having worked in our Sydney office since her university days, Hannah feels lucky to have found a home at Weber Shandwick, where she can work on creative and challenging projects and channel her passions for making people's lives better and exploring the world. I have a strong desire to give back where I can and offer support to people who need it more than me. First interned at Weber Shandwick when I was completing my last year at uni during the mid-semester break of 2009. I was then offered a full time role in 2010 and have (technically) been there ever since! Over the years, I’ve always been so proud of the strong bond that everyone across the agency shares, not only in the direct teams they work with, but just across the board. We have each other’s backs and know we have the support of such a strong network to get through huge workloads or stressful pitches. The teamwork and camaraderie is second to none. I see it each year when we have our offsite and reflect on the year that was and in our half-yearly and Christmas events where all levels of the agency can catch up, enjoy each others company and spend a night out dancing letting off steam! Resilient. Hardworking. Passionate. Comrades. FUN. I have a strong desire to give back where I can and offer support to people who need it more than me. I’ve always wanted to work in the charity space or even recently contemplated being a nurse, but I’m not sure I could manage all the blood, needles, and general brain capacity to remember important medical information! Definitely tea and I prefer the herbal variety like a green tea, chamomile, or ginger and lemon. Definitely paperback. I’m constantly reading my mum's books after she has finished with them in her book club. Email I guess, but when talking to my girlfriends it's always on Messenger. What’s your favorite thing about working in Sydney? I just LOVE Sydney Harbour. My parents live close to the water and I am so lucky to get the ferry to work when I stay there. I am mesmerised by the beauty of the harbour — the Harbour Bridge and the Opera House. It’s so magical and I feel like a tourist each time I take it all in because I just get excited by the view and feel so lucky to live in this city. I have worked with an animal health client over the years and have been able to go to lovely rural properties and work with sheep and cattle producers — true blue Aussie farmers! I also organised a few events for dog owners and spent Saturdays at dog parks with a sausage sizzle — and I used to be scared of dogs! How many countries have you visited? Where's next on your travel bucket list? 25 countries and next on my bucket list is Cuba or Mexico! What is one of the craziest things you've ever done while traveling? Craziest thing I did was travel solo to South America to follow the FIFA World Cup in Brazil. While I was there I did the ‘Death Road’ bike tour in Bolivia which was a pretty scary off road bike trail! In 2014 you worked with Weber to take four months off of unpaid leave to travel, can you tell us a little bit about that experience? 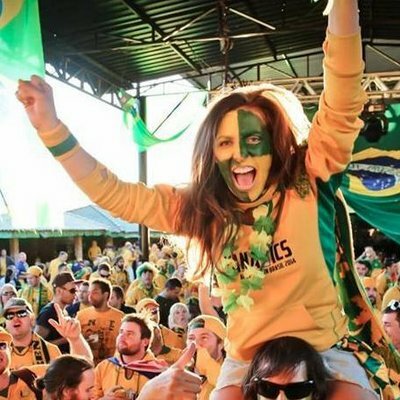 I had big plans to support the Socceroos during their Brazil World Cup campaign. I knew I couldn’t miss the opportunity to see a little bit of South America while I was there so I asked for some extended time off and the rest is history! I was so lucky that Weber was able to grant me that extended leave. I appreciated the flexibility and willingness to work with me to ensure I could take the four months off and then fit right back into the agency afterwards. I have a strong sense of justice and try to do what I can to give back, whether that is donating money or volunteering my time. There are so many people and organisations out there making a difference. I only wish I was brave enough to be a true trailblazer and go to protests and lead rallies and make grand speeches. For now, I focus on my role as Vice President of a little charity called Communities for Communities doing great things here and abroad. 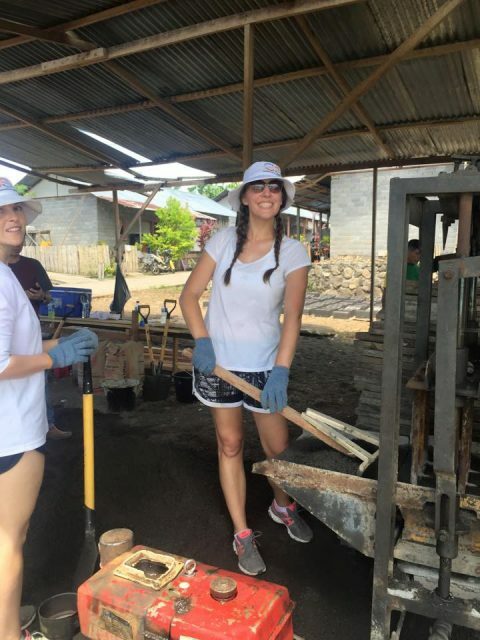 I’m passionate about making other people’s lives better and through C4C I have been able to organise events to raise money and go on overseas trips to build houses for families stuck in the poverty cycle.